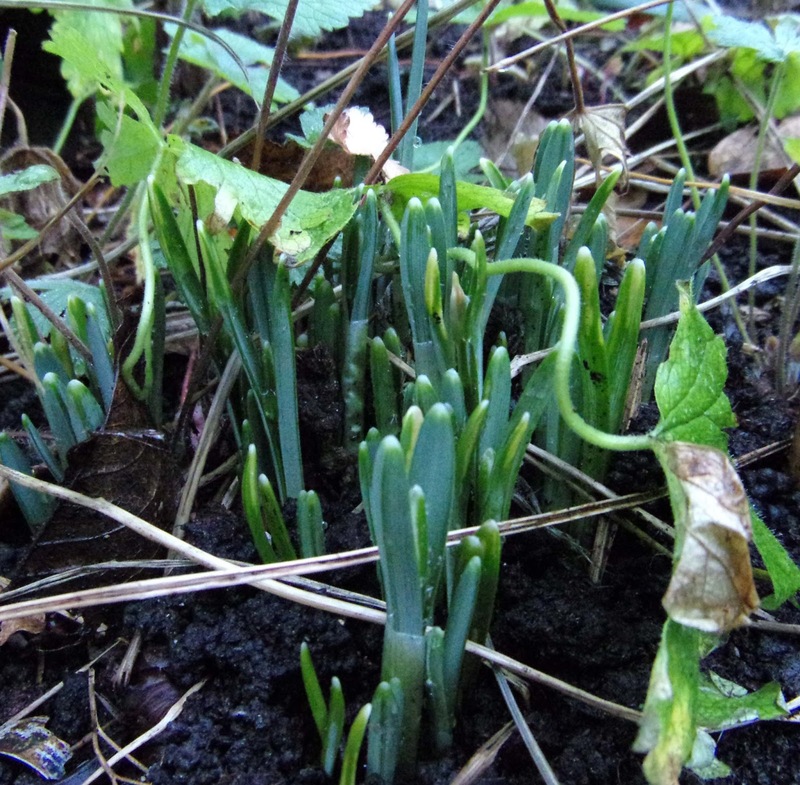 In a rather dull and grey winter, it is always cheering to see signs of growth and the promise of Spring. While winter can be lovely when it gives blue skies and wintry sunshine, the dull days can seem very long. 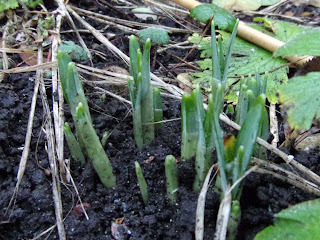 I was in the garden and noticed the snowdrops starting to poke their heads up. It won't be long before they are in flower. Another little clump in the garden. 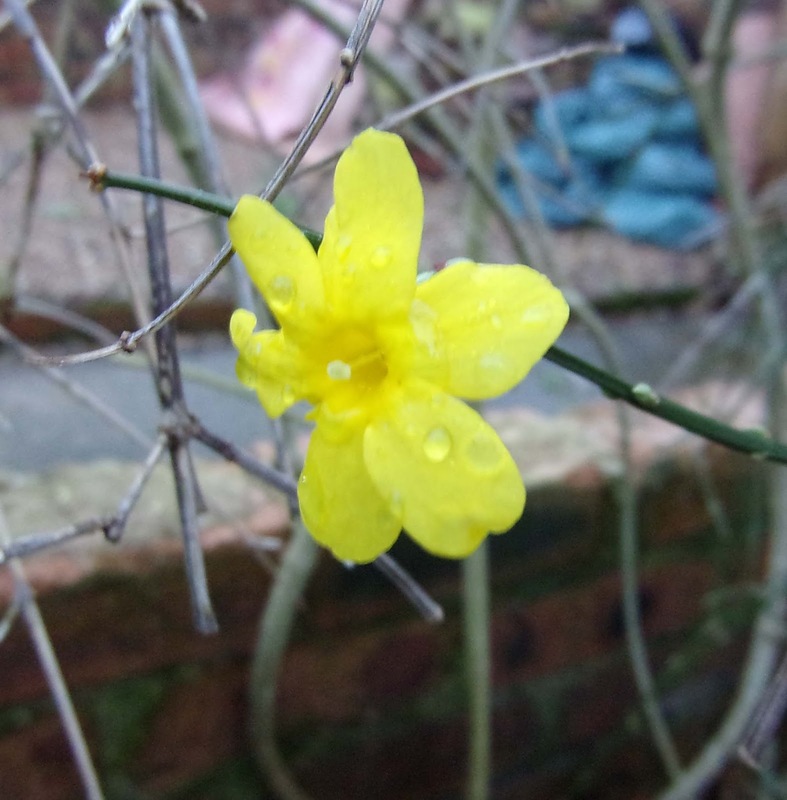 A very welcome splash of yellow is provided by winter flowering jasmine, with its straggly stems. The flowers do make up for its untidy habit. I also found the noses of one of my patio peonies (I think this one is 'Athens') with the promise of beautiful flowers in late Spring/Early Summer. This is a really encouraging sight. I have also just bought a rhododendron 'Tinkerbird' which is meant to be happy in a pot as it is a dwarf variety. It is supposed to be very hardy, having been bred in Scotland and is also said to have a jasmine scent in May. My plant is looking healthy and has lots of buds. I will let you know how I get on with it. 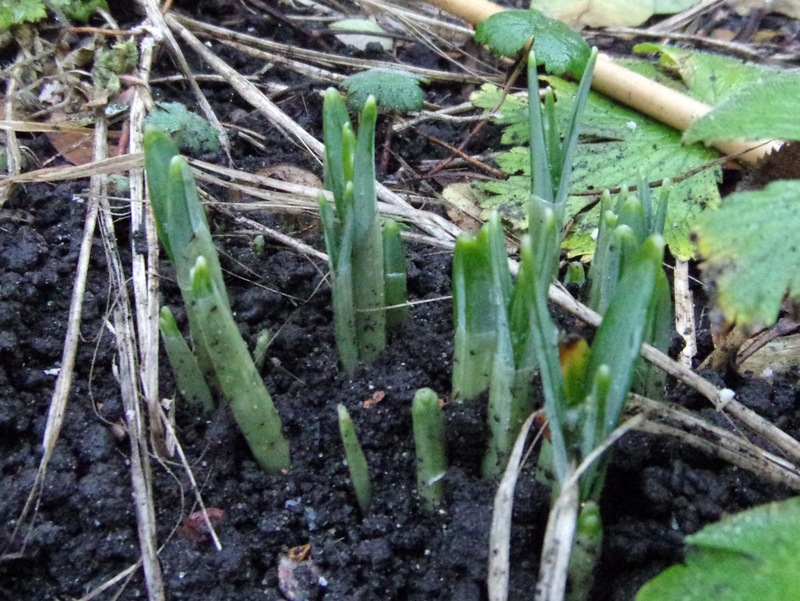 It's lovely to discover tiny signs that Spring is not too far away! Thanks, Jille. 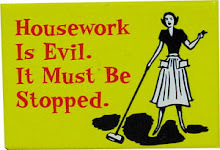 I agree - it puts me in a very positive frame of mind. How good it is to see things getting going again in the garden! Thanks, Amy. It is indeed. 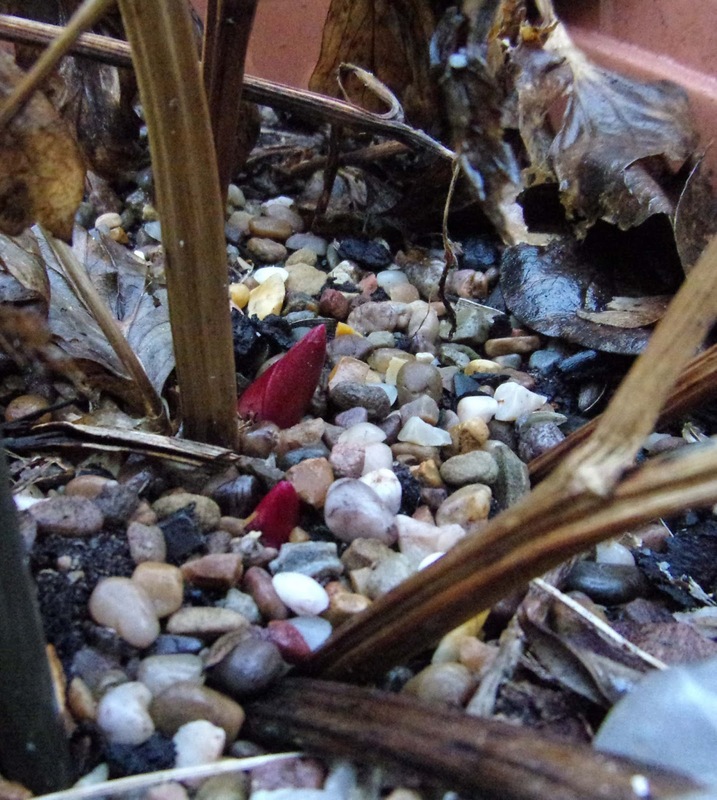 I am always very grateful to see the signs of plants stirring in late winter. It is always exciting seeing the first harbingers of Spring isn't it? Thanks, EC. It is - I am thrilled to see the snowdrops appearing. They are such tough little plants which look so delicate. Definitely one of my favourites. I'm always excited to see the snowdrops they herald the start of Spring for me. Haven't seen any myself yet though. Thanks, Briony. I keep checking on mine and will be out with my camera as soon as they appear! I can't wait!